Meet Central Valley Paranormal Compromised of the following members. Founder Crystal Willett (Founder) Chris Willett, Joey Simeao, Sherry Anderson, Becky Smallwood, Lee Smallwood, Gemma Shehorn & Dave Shehorn. We are taking you on one of our many Investigations. It�s the 3rd of September and the CVP team is taking another paranormal mini-vacation. We brought along have roll call for 6 experienced and 2 of our new recruits and one straggler along for the ride. 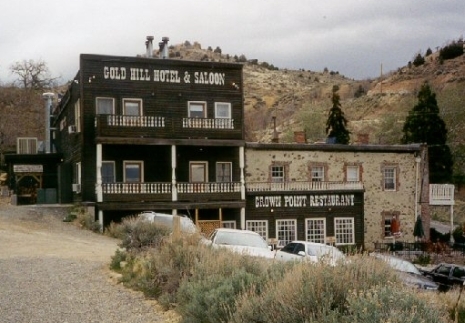 The team has once again arrived in Virginia City, Nevada this time at the Gold Hill Hotel. We are once again taken back in time on a journey that will not be forgotten. We check into the Brewery Lodge where everyone can be accommodated in the same area. We have stopped and stocked up on snacks, dinner and breakfast items for the next couple days. While we checked in we were told of some of the past haunts. The front desk says not a lot of the Brewery Lodge, but Gold Hill a haunted area in itself. We then got the keys to the lodge and ventured across the street. It was located next to the Gazebo where they have weddings and other functions. We all were amazed at how much room and the sight of having a full service kitchen and so much room to all have enough space for sleeping arrangements. It was so nice for everyone to be in the same location and to be together. We all looked around picking the different areas we wanted to sleep at. On the 2nd floor Chris, Crystal, Becky, Lee, Gemma and Dave all chose those bedrooms. Joey chooses the floor with the living room, dining area and kitchen on an air mattress that he brought. Sherry took the bedroom that was a step down room located in the front of the lodge a bit warm when the sun was up. It was then that everyone went a little scouting around looking at things around the area. We had stopped off at Carson City to buy some food so that we could cook dinners, breakfast and always have snacks which really was a nice thing for the late hours. Becky and I (Crystal) had decided to go upstairs and put up the air mattress that we brought so she and Lee would sleep in one of the air conditioned rooms. We decided we may need to take a nap for a bit not knowing how late we may be up for the night investigating. Everyone was lying around either catnapping or watching TV at the time. We both felt odd as if our head was spinning out of control a presence in the room. It was a feeling of having Vertigo at the time. We kind of brushed it off thinking maybe the room was slanting towards the west. Then resting we decided it was time to cook dinner. Our first night consisted of chili cheese dogs, hamburgers and potato salad and whatever chips might be your desire. After a time of resting from the drive we decided that our 1st expedition is going to be going to the Boot Hill Cemetery. Before going to the cemetery we had to run by and make contact with the St. Mary�s hospital in which we would be investigation the next night. Then we were now on our way to Boot Hill. We divided up having Walkie Talkies and went into different directions. There were a lot of people out visiting the area as well. 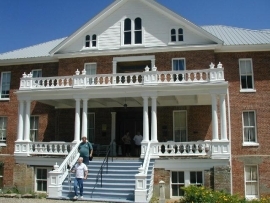 It was hard to catch any evp�s due to the different conversations of passerby�s. We did catch a possible evp. It was there that we spoke with a fire fighter and sherry got some nice orb pictures. It was like he was leading us into a direction that he wanted us to go. It was a beautiful night at the old gold mining town. After visiting the area we drove around a little looking at the different shops and scouting some areas. We talked with different people on the street of what we do. We passed by one gentleman that was there for the reenactments of the gold mining days. He had the long white beard, weathered hat, boots and confederate jacket down to the gold buttons. It was definitely taking you back to a time in the past. A few of us talked about him wondering if he was for real. He past with such a swagger that was a times motionless and didn�t even look at you as if you were even around. We tried to locate the store in which we had previously left a card. It was no longer around. We made our way to the location in which I had previously had my experience with the unknown before. This was a �Gentlemen�s Club�. Becky had previously been on a ghost tour walk here before. We filmed this and actually got a hand that was going up my back. We had lots of KII hits while asking questions on the meter. We had pictures of transfiguration on a couple pictures as well. We later found out that�s this was called �Knights of the Pythia�s Building founded in 1876. Upon further research on the Knights I found the following which was hard to believe existed in a Gold mining town: A member must be at least 18 years of age. He cannot be a professional gambler, or involved with illegal drugs or alcohol and he must have a belief in a Supreme Being. The oath taken by members: When in a gold mining town you know that the gambling and alcohol was upon every corner. Then to hear that it was once a gentlemen�s club was astounding as well. With the town partying on next to the building we found that it was time that we head back to the lodge all of us ready to turn in for a good night�s sleep. We knew the next day was going to be a long day and we were all excited to be going into the Saint Mary�s Hospital. It�s now time to head to St. Mary�s Hospital there we will be meeting up with the caretaker. Later that night while Chris, I, Becky and Lee are sleeping in the room. I feel that something in laying on my air. I tell Chris to roll over and quit lying on my hair. He being asleep and not really comprehending anything rolls over without saying anything. Again I brush this off not thinking about the earlier experience that we had. Its morning and we all are ready to hit the the streets of the old mining town. We ventured off the path once again and visited the Mark Twain Museum getting a couple KII hits. We visited the St. Mary�s Church and what a beautiful place it is. The experience that we felt when walking in there was overwhelming. We went to the downstairs where there is lots of memorabilia was amazing an listening to the docent tell the history of the church and town. It was there that I had gotten a designer orb in a photo that was taken while in the room in which father Manogue furniture was. It was the most amazing thing to see. It was like we could not get enough of the history. The teams have split up at that point in which some had to find a restroom. We all met back up together to get some lunch and look at other different areas. We then decided it was time to head back get some rest and get the equipment in order for our evening to come. We are now off to the St. Mary�s hospital where we meet up with Angela who is owner and manager with her husband Ron. Here is a little history on the building this handsome building was built and opened its doors in 1879, as a Catholic hospital, under the management of the Sisters of Charity and Bishop Patrick Manogue. Within its 4 floors, 60 to 70 patients could be taken care of in the 36 rooms, which included five public wards and 12 private rooms. Before the government got involved, churches and religious organizations often founded social service facilities to serve the needs of people. Saint Mary’s Hospital opened its doors to everyone, from the rich to the poor, to the mentally ill. It nursed the sick from periodic epidemics, took care of injured miners, gunshot victims, and other people suffering from other accidents and illnesses. 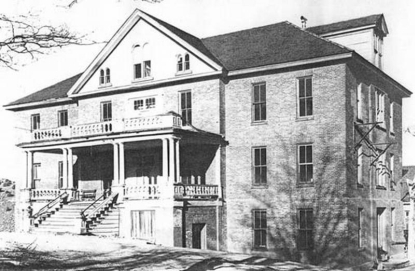 After 18 years of service, the Sisters of Charity decided to close the hospital in 1897, giving the building to the county officials. It quickly became the county hospital, because the former public hospital had burned to the ground. This county hospital served the community until 1940, and closed probably because the population was dwindling, WW 2 had just started and the structure needed a major renovation to update it to current standards. Sadly, this building was empty for 24 years, until 1964, when it nearly had a date with the wrecking ball. The county officials were seriously considering knocking it down and selling its materials, when Father Meinecke came to its rescue with the suggestion that it become an art center! We were told of many things that have happened at the hospital. That in one part of the hospital you can hear a horse drawn hearse coming up to a remote door of the hospital building where they are coming to collect and carry away the dead. They said that you are able to hear the clopping of the hooves and snorting of the horses. Day or night, the spirits do not have a preference. Sounds such as heavy boots walking the halls and stairs, rolling of carts and gurney’s (on hard wood however, the above floors are carpeted), marbles rolling on the wooden floors, ladies conversing down hallways or in other rooms, shadow figures have been seen regularly (even during the day), class A EVP’s have been captured, phantom smells of rubbing alcohol, vomit, vapor rub, sterile scents, flowers, pipe tobacco, etc. have also been lurking the hallways and rooms. All of the above have happened. The building rarely fails to communicate. Once in the kitchen she showed us the dowsing rods that we would use to help answer questions. She asked it to point to individuals and it was dead on. She asked us if we would like to borrow them for the night. She showed us each floor and gave the history on the rooms. We were then on our own to investigate. She let us know that her husband would be coming through with the ghost tour so that we were aware of any other conversations that we hear. It was then time for us to get on with the investigation. This is truly an amazing place and we look to return soon. Angela proceeded to take us through each room and describing the different individuals that stayed in the rooms. We all started with EVP sessions and filming the different areas. We came to a room that a mother and baby were in. Angela had shown us when in the room that the doll in with a motion sensor. We were standing in the room and every time I (Crystal) went to ask a question the doll would talk. I would only be standing off to the doll not passing in front of her. When we later met back up with Angela and asked her she said the doll is not voice activated. There was a paranormal experience rather it being with the baby or the mother we do not know. One of our highlights of the night was in David�s room. Angela showed us a deck of cards in his room in the attic and that he liked to play blackjack. So we played 2 hands of cards with David. He picked his dealer and then he let us know that he wanted to play his own hand. I (Crystal) was playing against him. It was an amazing game. He played it all the way to the end. We were asking him if he was wanted a hit and he was hesitating with the dowsing rods. He stood with his card and he was going for the ace to get his 21. It was a good game. Later on the tour came through the hospital and later Ron came back to speak with us and show us a few more things. We sat down with him in the kitchen, with the KII meters on the table for some snacks. There we communicating with some children hearing things in the hallway and while talking about our cats the children were lighting the KII meter. We retired for the night going back to the Gold Hill Hotel. Watching TV and eating some of the spaghetti that we had cooked earlier in the evening. The boys getting some of the others hooked on the TV series Sons of the Anarchy. Later that evening we headed to bed around 3 am I felt something in the room. I saw a shadow figure but thought I was just so tired and just demised it. Then suddenly I felt the bed vibrating I woke Chris telling him to quit shaking the bed he said he wasn�t. Then I asked Lee if he was hitting the bed, him and Becky sleeping on the air mattress next to us. I looked and they were not near us. All of a sudden my legs were being held down and the bed vibrating I yelled for it to stop it released. I woke everyone upstairs by yelling. We grabbed flashlights running to get into the cars to grab equipment. Lee and I could not get the front door unlocked finally it released. We took the equipment back upstairs and set up the recorder and KII meter not getting but a couple hits. Do I believe the lodge is haunted? Yes. We packed up headed back home each of us going back in different directions. We want to thank the Gold Hill Hotel and Angela and Ron from the St. Mary�s Louis Hospital for a great time. Downtown Martinez Ghost Tours: Central Valley Paranormal has teamed of with the Downtown Martinez to offer history and the paranormal. Martinez is a town full of history. History on John Muir, John Tucker house, Site of John Marsh Murder, Berrelless Adobe, In 1847 Dr. Robert Semple a dentist from Kentucky who had served as a lietuenant in Californias Bear Flag contracted to run a ferry service across the Carquinez Strait (the first such service in the Bay Area), Southern PacificRailroad. The hangings at the county seat (Martinez) Between 1849-1853 there were 200 lynchings publicly. Please stay tuned to our website and Facebook page cvparanormal. Also friend Downtown Martinez on Facebook for upcoming details. This will be coming early summer.